Connecticut Public Television > Enter to Win Tickets for Napoli, Brooklyn at the Long Wharf Theatre! 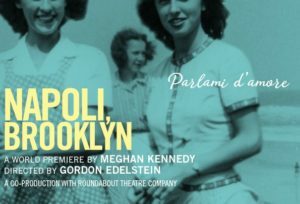 Enter to Win Tickets for Napoli, Brooklyn at the Long Wharf Theatre! Enter to win a pair of tickets to Napoli, Brooklyn at the Long Wharf Theatre in New Haven. Tickets available for any performance between February 16 and March 5.